This was based on the data from clinical studies indicating that alcoholics are at higher risk of damaging bone stem cells, and this can result in osteonecrosis. 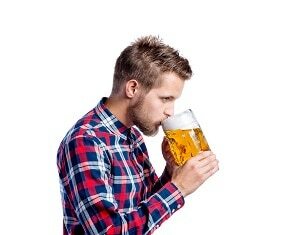 Alcohol can, however, be more detrimental to stem cells than was initially suggested and this can be seen in the new research. Based on a new study, alcohol can cause damage to a stem cell; however, the best explanation of how the damage occurs is by taking a more in-depth look at what is happening. The catalyst for the results is the chemical acetaldehyde – an organic chemical that is created when the body breaks down or metabolizes alcohol in the liver. Incidentally, it is this process that also contributes to the hangover experienced in the morning after drinking too much alcohol the night before. How Exactly Does Alcohol Damage the Stem Cells in the First Place? In this case, acetaldehyde is the contributing factor because it breaks the stem cell’s DNA. Allow me to explain. In a recent study, researchers analyzed chromosomes and investigated the effect of DNA in mice that were given alcohol. 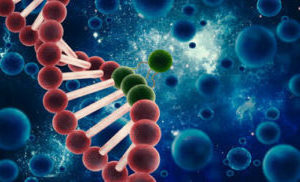 The study confirmed previous study results supporting the fact that produced acetaldehyde can damage stem cell DNA by causing breaks in the double strands of the DNA. If you are aware of the DNA structure, you will note that the spiral-ladder shape of the molecule has two sides to the ladder. In this situation, the acetaldehyde causes the molecule to break; however, the study also found that the body attempted to repair the damaged cells. To save cells from fatality, the body has an inherent reparation system that will repair any damaged cells. It can perform repairs to damaged cells, including the rearrangement of chromosomes to create genomic instability with something known as deletion mutations. It is the deletion mutation that contributes to creating oncogenetic cells or cells containing a cancer-causing gene. In other words, if the procedure of inherent reparation is poor there is a chance of a potential cancer cell being activated and a potential side effect of cancer. All of this is, based on recent studies, stimulated by the detrimental association of acetaldehyde and stem cell DNA. Despite this negative relationship between stem cells and alcohol, alcohol is not the only factor harming a stem cell. Many people do not consume alcohol, but this does not mean their stem cells are in good shape. In addition to alcohol, there are various other factors that can contribute to stem cell damage and these are mentioned below. First, an excessive consumption of carbohydrates and sugar can affect stem cells by inhibiting their ability to regenerate. Furthermore, cancer cells thrive on sugar meaning poorly repaired or damaged DNA can be vulnerable if exposed to excessive levels of sugar. Excessive calorie consumption can also disrupt the productive functioning of a stem cell by causing resistance to insulin. This is particularly true if the calories are carbohydrates or sugar. As can be expected, a lack of exercise can cause one to miss the chance of increasing muscle mass and muscle stem cells. While this is not causing damage to the stem cells, it is not beneficial in any way for your stem cells. Being overweight has many negative effects regarding one’s health and this expands to the health of one’s stem cells. Sleep is important and not having good sleeping patterns can disrupt the stem cells’ circadian rhythm. This can cause damage to the stem cells and age the cells more quickly than is natural. It is not surprising that smoking can do damage to a person’s stem cells. In addition to all of its other detrimental effects, it can cause stem cells to die. The use of non-steroidal anti-inflammatory drugs is also disadvantageous because it can cause one’s stem cells to produce defective cartilage. As can be seen, there are various factors that can influence the health of stem cells and alcohol is one of the most significant contributors. Of course, the studies are not human-based research so there is no evidence of how alcohol affects stem cell production. 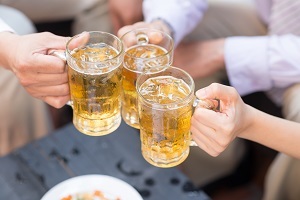 Regardless of this fact, OCWellness Physicians Medical Center in Westminster, CA would recommend staying away from alcohol for at least four weeks before and after a stem cell procedure.